Okay, I’m posting this FROM KENTUCKY!!! How crazy fun! The Kentucky Derby is right around the corner, and I’m headed into Ohio for work with Kroger for the next few days. I am literally giddy with excitement because I’m actually in Kentucky posting Derby recipes! The Derby is so southern and so romantic -- the pageantry, the beautiful horses, that cloak of roses that gets draped over the winner. It's called "The Greatest Two Minutes In Sports." It's been held every consecutive year since 1875. I love a long-running institution! 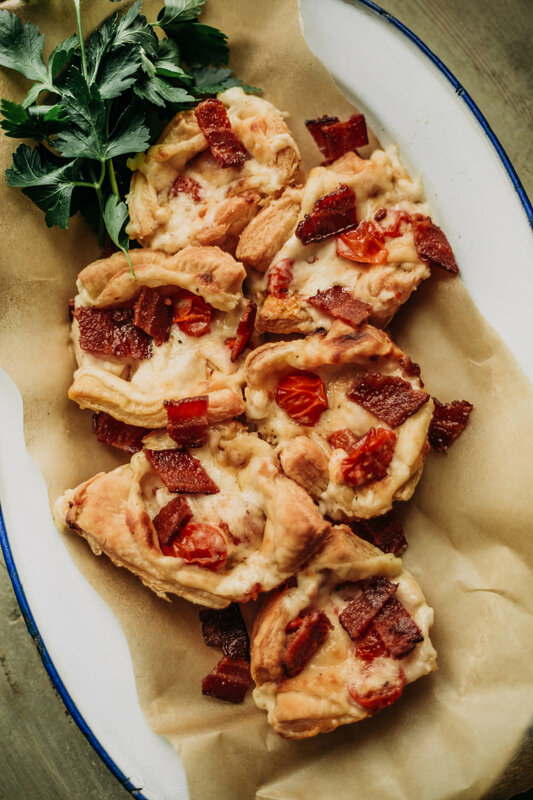 And if grand horse races are your thing, I've got the perfect snack-pairing to partake of during the Derby: Hot Browns -- in this case, Hot Brown MINIS -- and Citrus and Mint Juleps. 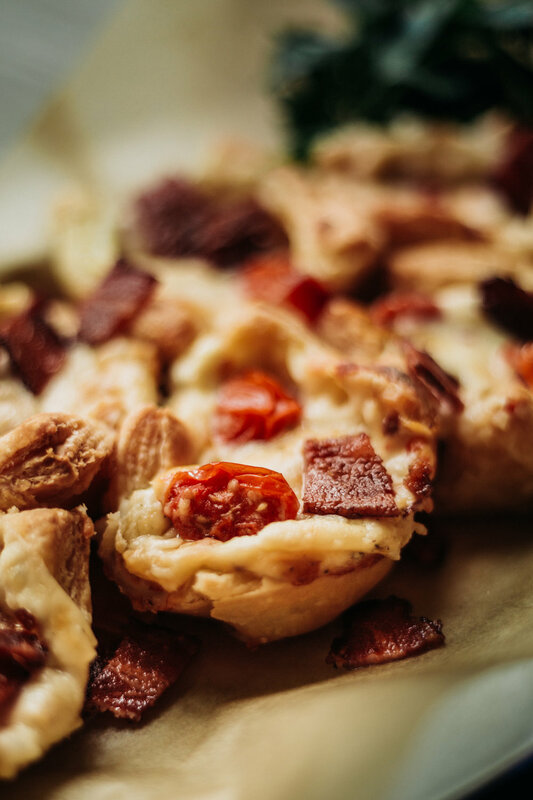 The Kentucky Derby Hot Brown originated in 1926 at the Brown Hotel in Louisville. Traditionally, it's an open face sandwich: turkey, bacon, cheese, and savory cheese sauce -- perfect to eat with a fork (it's almost impossible to eat one WITHOUT a fork, actually). However, I've put a little spin on the Hot Brown and created the Hot Brown Mini. You can eat these with your fingers, and you will definitely want to give 'em a try. What better way to enjoy a tasty southern treat than with a tasty southern cocktail? Below, there's also a recipe for the most amazing Citrus and Mint Julep. Guys, look at the picture at the head of this blog post -- are you kidding?! It's refreshing and cool and a perfect accompaniment to the Hot Brown Mini. I purchased all the ingredients for these delectable treats at my local Kroger store. If you are planning a Kentucky Derby shindig, Kroger has you covered. I hope you enjoy these delicious little sandwiches! And tasty cocktails. Gather some friends and host a little party! Muddle the sugar, lime, mint, and bourbon (cocktail shakers are great for this). Pour over ice and top with sparkling water. To make the cream sauce, melt the butter in a sauce pan over medium heat. Add red pepper flakes, salt, and pepper and cook until the butter foams and the spices are toasted. Stir in the flour, whisking constantly. Allow the flour to cook until it’s bubbly and golden, about 3 minutes. Add the milk and whisk until it’s fully incorporated. Cook, stirring continually until it begins to thicken, about 7 minutes. Add the parmesan and continue cooking until you have a rich, thickened sauce. Remove from heat and allow to cool. Preheat oven to 350 degrees. Lightly butter a muffin tin. Gently roll each sheet of the puff pastry slightly on a lightly floured surface. Slice the pastry into six squares for each sheet. Press the pastry squares into the muffin tin and equally distribute the turkey, tomatoes, and bacon between each pastry square. Top each hot brown mini with 2 Tbsp. of béchamel. Bake uncovered for 25-30 minutes, or until the pastry is puffed and golden and the tops have browned up slightly. 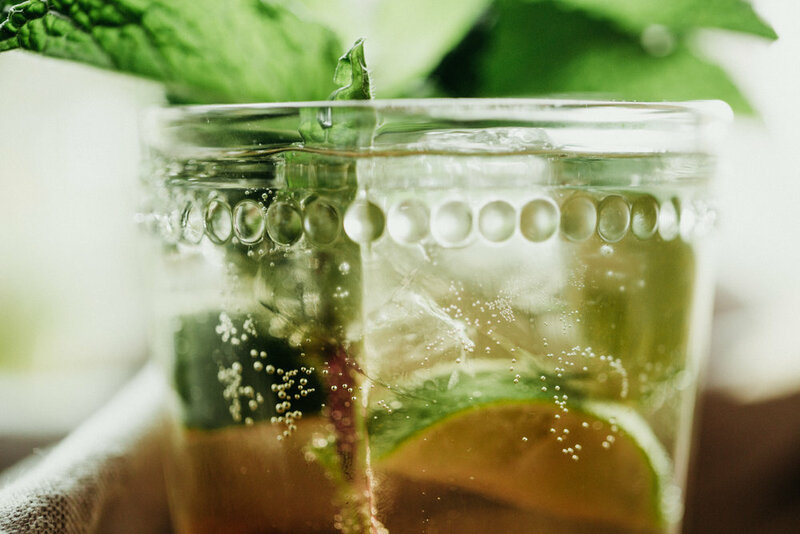 Serve alongside my citrusy mint julep.